Shopkeeper Ms. Wang has run a video games shop in Taipei for well over 10 years. Located in the underground Taipei City Mall, Wang's shop is one of two mom and pop stores that specialise in selling retro games. Now, after more than a decade, she's talking about calling it quits and moving on towards something else. Wang's shop in Taipei City used to be a big storefront above ground, but in 2000, when the government of Taipei was looking to expand its subway system, Wang had to vacate her shop and move underground. The deal with the government back then was that shopkeepers who had their shops removed from above ground would be compensated with retail space underground, in the newly built underground mall. Wong requested that Kotaku not share pictures of her face. 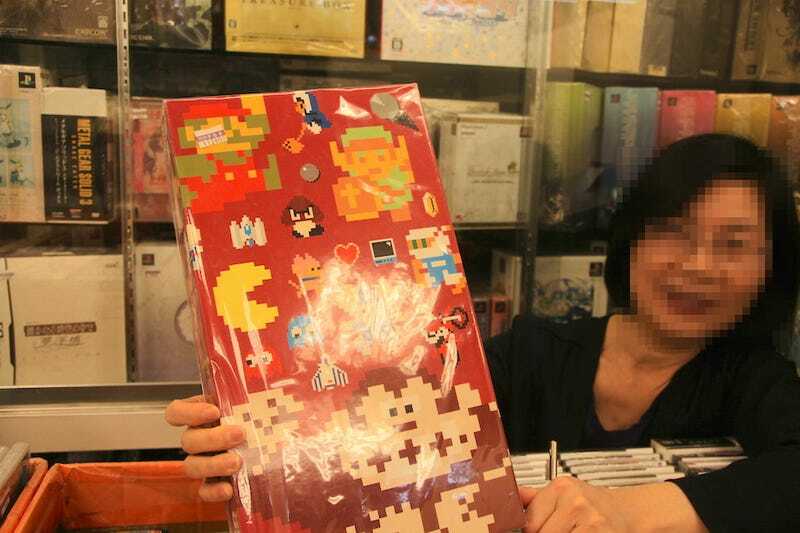 Over the years, Wang says, Taipei City Mall has become a center for video games and video game paraphernalia in Taipei. Stores selling everything from the newest and latest video games to arcades and shops selling Japanese import model kits. However, despite being the place for video games in Taipei, Wang says the times are changing and business hasn't been going well. Originally, Wang had two storefronts, but because of a downturn in business over the last four years, she and her business partners had to rent out the other space. On top of that, she also rents out part of her current storefront to a young barber. "For me, video game sales haven't been very good. Business is so-so," said Wang. "It's particularly obvious for me because our shop sells old school products that are no longer in print." "On top of that, because of the bad economy, our products are priced well out of the shopping range of many young people today," Wang added. Taiwan's economy has been relatively stable since the global economic crisis of 2008 but most of it has been due to advancements between Taiwan and the mainland. But talking with local businesspeople such as Wang, businesses in Taiwan aren't faring as well as they may appear to be—particularly for video games. Unlike the Chinese mainland, the People's Republic of China, Taiwan never had a ban on the sale of video game consoles. In recent years, the trend has been to localise popular games to traditional Chinese to fit into the Hong Kong, Taiwan and other Chinese-reading markets. Despite the openness of the Taiwanese market, many mom and pop shops such as Wang's carry untaxed imports. Wang's shop is a cornucopia of gaming classics; from the discontinued Panasonic version of the Nintendo GameCube to the Nintendo Famicom Mini (a special version of the Game Boy Advance SP) and its limited collections. "Many of what we carry can no longer be found even in Japan, and they're collectibles," said Wang. "I get a lot of customers from Japan and mainland China that come and ask me if I have this or that, and they're always surprised with whatever treasures I'm hiding." "It's very sad to say this now, but it feels to me that the people who can afford to buy my games and systems are rich Chinese collectors from the mainland," added Wang. She says that sales go up during tourism season. Wang says that after years of selling games, the change in the way consumers buy games, compounded with the rise of smartphone gaming, has affected her business to the point where she's thinking and planning to move away from selling video games. "You can already see it; Taipei City Mall used to have more shops dedicated to video games. Many of the vendors don't have to pay rent because of the government deal," said Wang. "But business hasn't been good. Many have changed to different businesses, mobile has affected the way people buy games, not a lot of people will put out $300 for a piece of history anymore."